This is a parts kit for the Spooky Tesla Spirit Radio on the Instructables site: http://www.instructables.com/id/Spooky-Tesla-Spirit-Radio/ by mrfixitrick. I am not affiliated with this project. 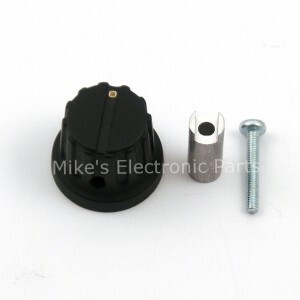 This parts kit is made available as a convenience to customers wanting to build the project. Questions regarding the parts can be posted here. Questions regarding the project itself should be posted to the Instructables site. This is a parts kit only. Please refer to the Spooky Tesla Spirit Radio Instructables site for schematic and instructions. I do not carry all the parts listed in the list of materials. 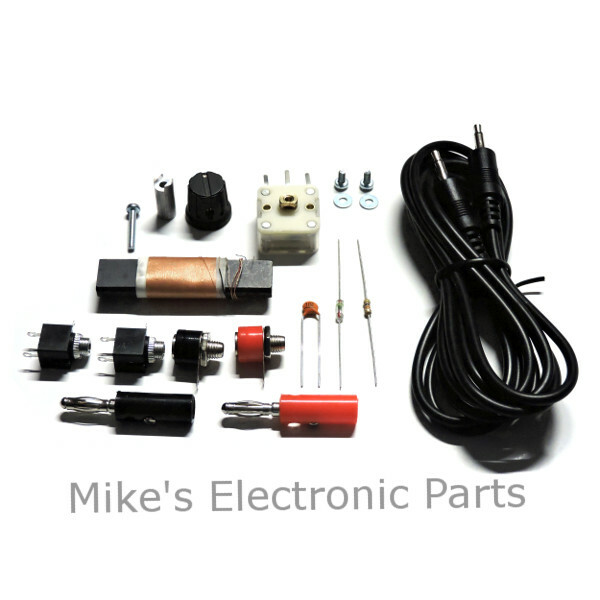 Below is the list of parts included with the Spooky Tesla Spirit Radio Parts Kit. Here is a list of some of the items listed in the list of materials not included in the parts kit. The mounting screws for the variable capacitor can pass through the top of the variable capacitor and damage the interior plates. Please check that the screws do not go all the way through the top. The supplied washers can be used if needed to help prevent damaging the internal plates of the variable capacitor. The Spooky Tesla Spirit Radio project calls for a 60/160 pf variable capacitor. I no longer carry that specific variable capacitor. 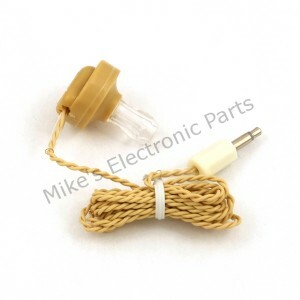 The 60/141 pf variable capacitor is the replacement part. I’m not aware of this causing any issue with the project. I no longer carry the LSA680-1 680 uf ferrite loopstick antenna coil. 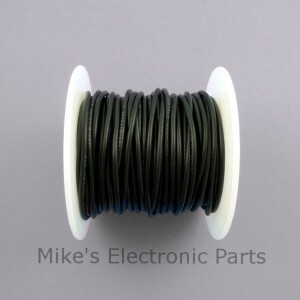 The replacement part is a 680 uf ferrite loopstick antenna coil with a tap at 470 uh. For the purpose of this project, you can ignore the tap. Please do not cut the tap wire. The coil is one continuous wire. Cutting the tap wire would sever the coil making it inoperable. I’m very interested, but I live in Brazil. Can you ship to Brazil? Do you accept Paypal? Yes, we ship to Brazil and accept PayPal. So this comes with everything needed minus the jar and lid? This kit comes with the electronic components only. A complete list of the parts included can be found in the product description of the kit’s listing. Is the copper wire included even though it’s not shown? The kit does not include any wire. 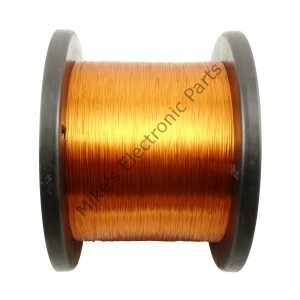 We do sell a variety of hookup wire and magnet wire. 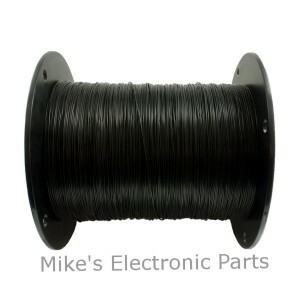 We also sell the 30 AWG wire for the football antenna. We do not carry the 14 AWG or the 10 AWG mentioned in the Instructable for the Pancake or Football antennas. 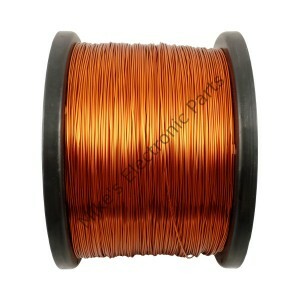 The closest we carry is 18 AWG magnet wire. and more” with amplification for example by a satellite (replace it with LNB) and processing the waves we have a wide spectrum camera, microphone, earthquake forecast kinda radar or radio telescope??! I recently purchased this kit and assemble it. I’m having a problem getting my PC to pick up sound from it. I’m not sure if it’s the radio or if it’s the computer. Any information would be extremely helpful. Could you send me some photos of your build to sales@mikeselectronicparts.com? To test the computer and software, you can try another audio source, like an mp3 player, to see if the computer and software respond appropriately. thank you for the kit! my question is about the ferrite loop stick. is the “tap” wire (the one to ignore in this project) painted black? Yes, please ignore the black wire on the coil for this project. Dear I live in Pakistan. Can you ship to Islamabad, Pakistan? I will add Pakistan to the shipping options today. I’ll e-mail you when it’s available. Shipping to Pakistan is now available. Thank you. Hello Mr Lowe. Got the kit and extra part’s for another project. I just wanted to thank you for the fast shipment. I am looking forward to doing more business with you in the future. is it possible to use free international shipping to ship to hong kong? We do not offer free international shipping.